This luxury designer radiator is styled by Paul Priestman and gives a completely new concept to space filling and heating. This circular radiator can be used as a stylish towel warmer or as a feature radiator in a bathroom or other interior areas. 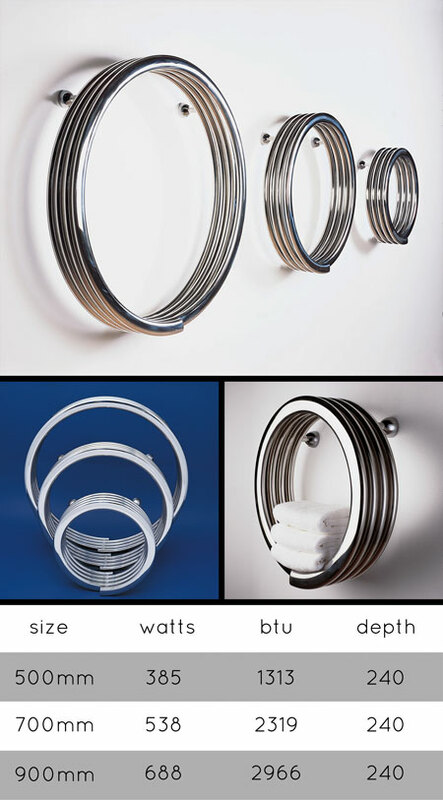 This round radiator is finished in polished stainless steel and available in 3 diameters. * Made in polished stainless steel.